WEST GREENWICH, R.I. (WPRI) — State troopers seized $110,000 worth of drugs during a traffic stop in West Greenwich, Rhode Island State Police reported Friday. State police said troopers pulled over Ana Melendez Santana on I-95 North near Weaver Hill Road around 3 p.m. Thursday. While searching the vehicle, state police said troopers found several vacuum-sealed packages of cocaine and fentanyl hidden in a container of juice boxes. 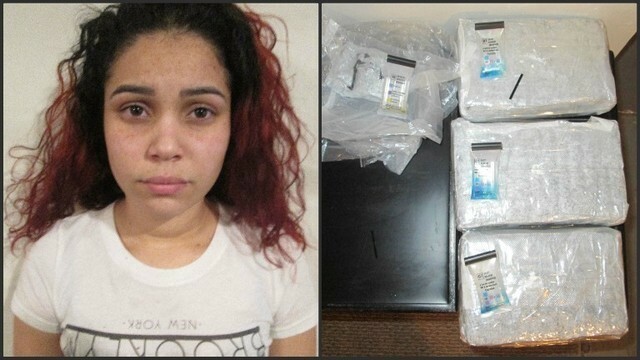 According to state police, the packages contained three kilograms of cocaine worth an estimated $100,000 and 4.3 ounces of fentanyl worth an estimated $10,000. Along with the drug charges, state police said Santana was also cited for driving with an expired registration and driving without insurance. State police said Santana would be held for arraignment at Third Division District Court in Warwick.